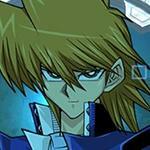 This deck can quickly brings out high leveled monsters and also offers great draw power to keep up your swarm tactics. With balance your starting hand would always be 3 monsters and 1 spell card. 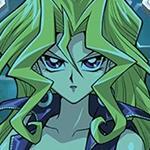 This is good because both spells in this deck need monsters in your hand to be activated. Your starting hand will reflect the card balance of your deck. Check here! 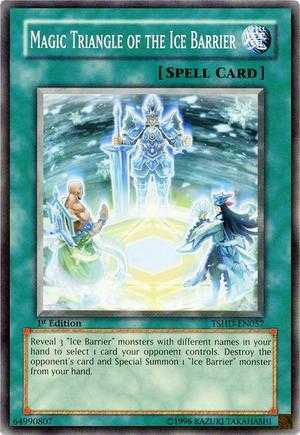 Use Magic Triangle of the Ice Barrier to destroy a card your opponent controls and special summon your strongest Ice Barrier monster on hand. 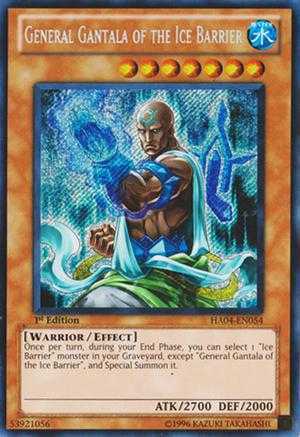 For offense and swarm, the best choice would be to special summon General Grunard of the Ice Barrier or General Gantala of the Ice Barrier. 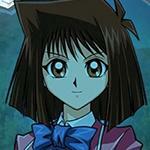 For defense best choice would be to special summon special summon Dai-sojo of the Ice Barrier. Drawing cards will help you thin your deck faster so you can get the cards you need. Moray of Greed is a possible spell card you draw at the start of the duel, and with balance giving you 3 monsters you can use it immediately. 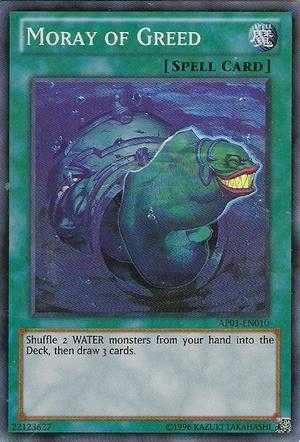 Return 2 water monsters from your hand to deck to draw 3 cards. 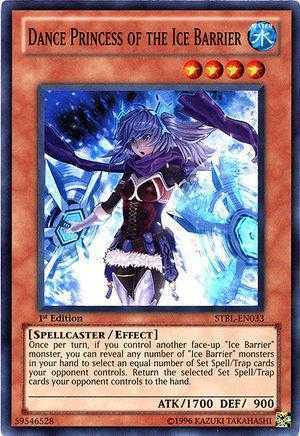 Once per turn you can use Strategist of the Ice Barrier monster from your hand to the grave to draw a card. 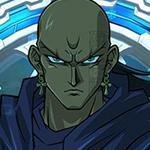 Ice Barrier monsters sent to the graveyard can later be revived by General Gantala of the Ice Barrier. You would want to protect your monsters from spell and traps, especially your generals, since it would be very bad if your biggest monster on the field was destroyed. 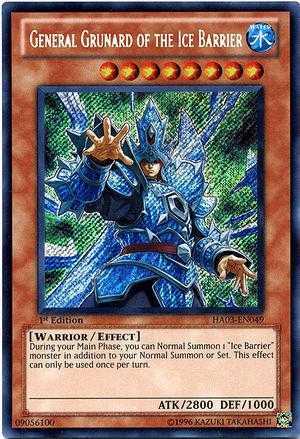 Dai-sojo of the Ice Barrier protects all your Ice barrier monsters from being destroyed by spell/trap effects. 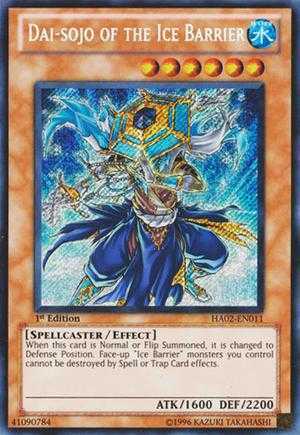 Use Dance Princess of the Ice Barrier to return your opponent's spell/traps to hand, so that you can attack safely. 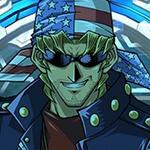 For cards that can be used in any deck, check the link below. Samurai of the Ice Barrier 1800 attack beater. 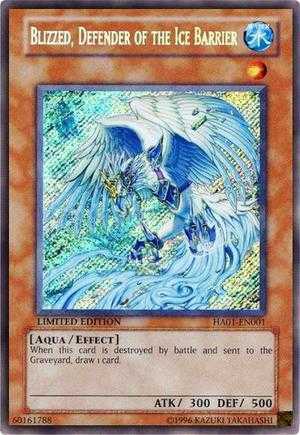 Can also be used as draw power. Big Wave Small Wave Can help you summon big water monsters in your hand. A Legendary Ocean Attack boost and helps you summon high-leveled WATER monsters easier. Probably the dumbest idea ever but I usually use last gamble as my skill. Now that 'Balance' got nerfed, what skill should you use? I'd assume probably Beatdown. Maybe Switcheroo given they have consistency issues and it's the least-nerfed consistency skill. I choose destiny draw. 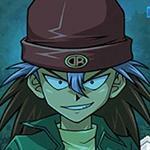 Simply the deck relies on luck. 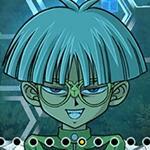 If you cant use triangle in the first two turn or even first turn then you will probably lose. Destiny draw really help when I play first. 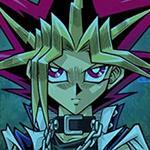 The player can remove its opponents monster with Magic Triangle then summon 3 monster is the same turn? lol. And it isnt OP,yes? This game is so broken. The original comment was posted at a time before the first Balance nerf. Back before Echoes of Silence. 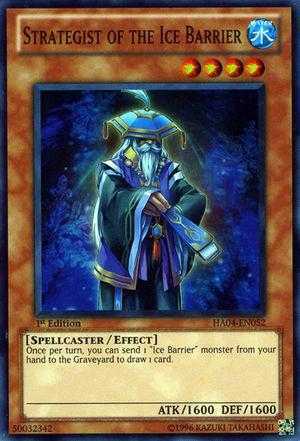 Back then it was really easy to get 3 monsters out in one turn with this deck. It and REZD was the reason why Balance was nerfed. You would have 4 monsters and 1 spell with Balance. So you would use Triangle to destroy an opponent's card and summon Grunard. Then summon Dance Princess and reveal the 2 monsters on your hand to bounce their backrow. Next, you summon one of the other monsters (thanks to Grunard's effect) and attack with all 3. 9 times out of ten it would be an OTK. Any thoughts on sylvan ice barrier deck? I've made it to KoG 3 times in a row with Ice Barriers, it's a fun deck. Dam these ice barriers.. Its not fun losing at turn 2. 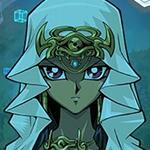 Ice and naturia are wrecking everyone's gaming pleasure. What can we do about it? Not having a protection spell, trap at starting hand equal gg for the player, this isn't fair at all. Though I faced them and should have lost at turn 2, my Sylvans made me resist until turn 8. It's funny to read this comment now, the dude was complaining about Ice Barrier and Naturia, and now we have decks like Sylvan and Masked Hero. So how to best deal when playing against this deck? On turn one and two, it returns all three of my set spells to hand, leading to a minimum two turn ko. 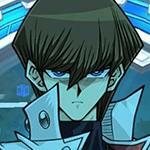 Just now I won against an ice barrier deck. 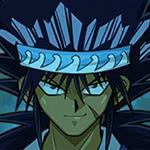 Use fast trap cards like Anubis and Etaqua, still, hard to counter, their weakness is the lack of backrow.